← Paying for College and Diabetes…here’s help! What’s in Your Purse/Handbag? Diabetes Supplies and More…. My sister and I used to laugh about our “high maintenance” handbags. 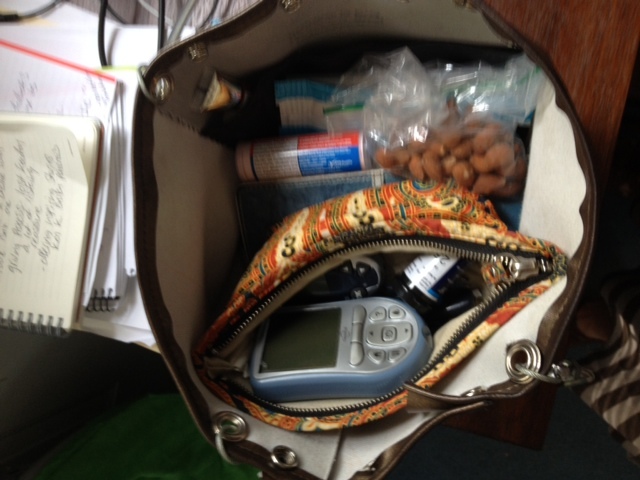 We could never go anywhere without a bag full of diabetes supplies, and I think it only got worse with motherhood. Even after I realized I didn’t need to carry diapers and wipes with me everywhere I went, I could never scale back in size. Today I look at my friends with envy as they effortlessly sling their slim bags over their shoulder, or carry their cute clutches under their arms while my straps dig into my shoulder. I blame it all on diabetes. Almonds (for a low carb snack). Pens…lots of pens. I hate to be without a pen when I need it. Without the diabetes stuff I might be a more low maintenance kind of girl carrying a cute clutch, but instead, I’ll always be a big bag girl. 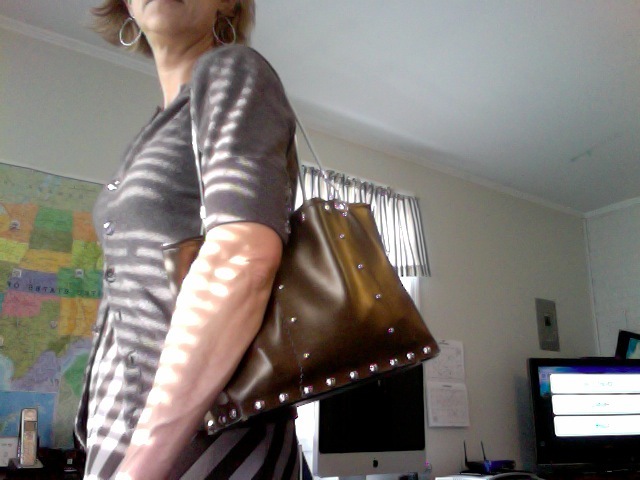 This entry was tagged Chronic Illness, diabetes, handbags, type 1 diabetes, women's health. Bookmark the permalink.